We made it! We have arrived! 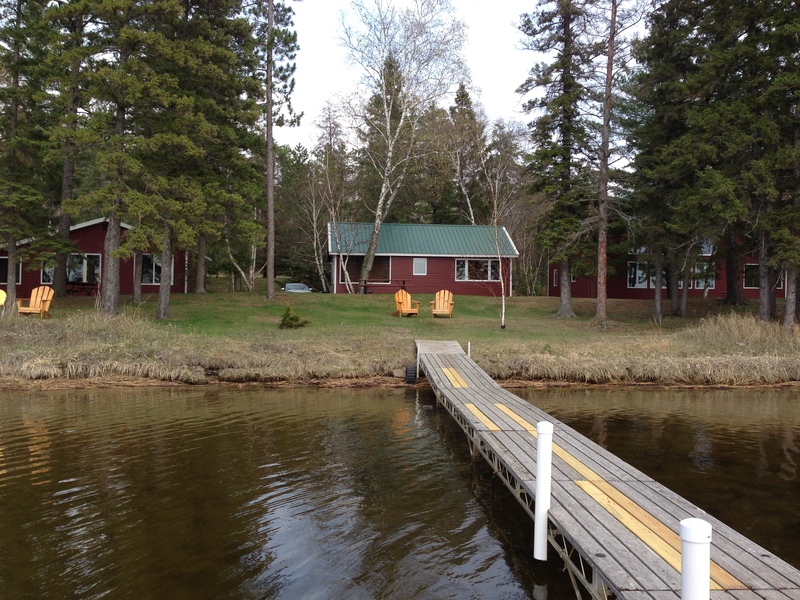 Two Inlets Resort. 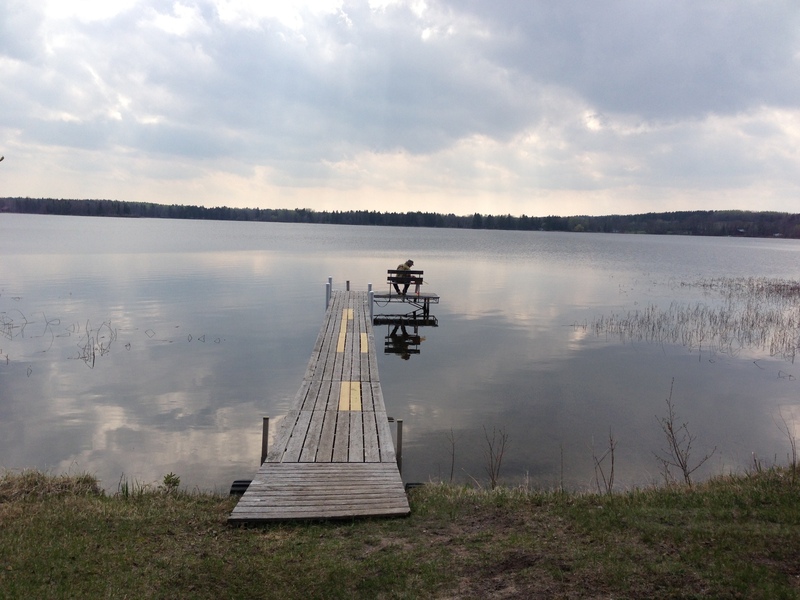 Al has tested the waters and fished from our private dock. 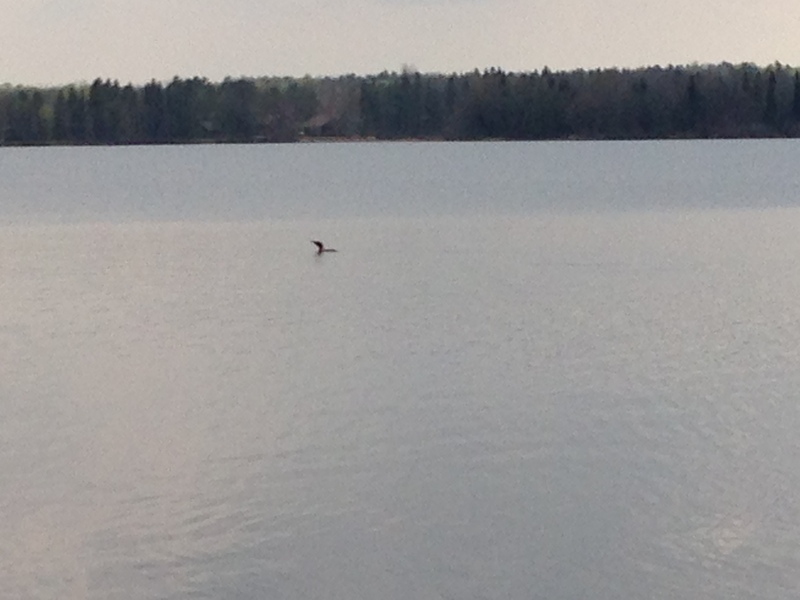 I am slowly allowing myself not to think any longer, although I have allowed myself some loon gazing. Other than that, no plans. No to-do lists. No getting up and going somewhere. For four whole days I can do absolutely nothing if I want to. Funny that a week ago today there was still ice on this lake. While sitting outside watching Al fish, I was bare foot (and a cold drink in my hand). It’s about 70 degrees and muggy with a gentle breeze. We can do 70 and muggy. We can even go as far as 85 with the muggy, so we’re doing quite nicely, thank you very much. 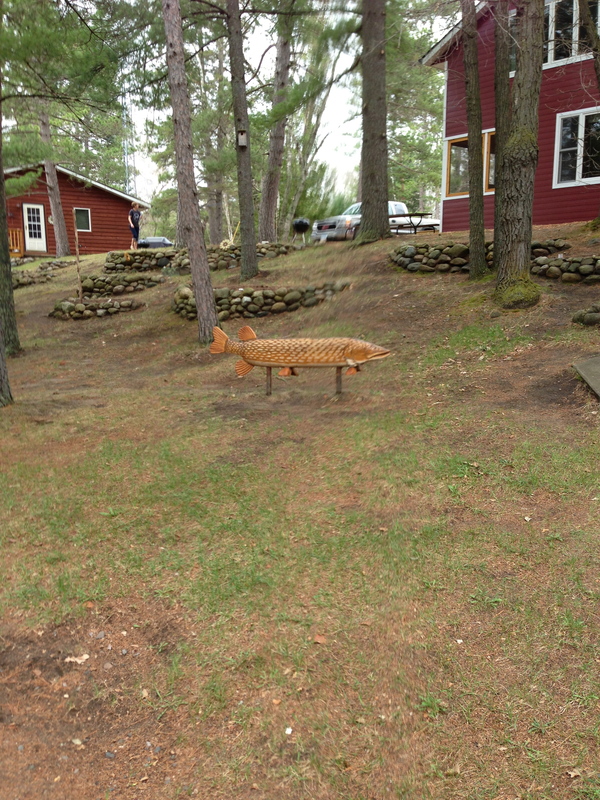 Here’s a view of our cabin–Cabin 5– See the lefthand chair? I’m claiming it for the duration. Cabin 5 has two bedrooms, one bath, a kitchen/dining area and a comfy couch. It’s also got a really nice screened-in porch for bug season. Fortunately, we’re pre-bug season. The resort owners, Jennifer and Bob, are second generation. Jennifer grew up here and, she is adamant, she did not live here all her life, but she returned here. I don’t blame her. It’s lovely and peaceful. They bought the resort in 1997 from her parents who have since retired. 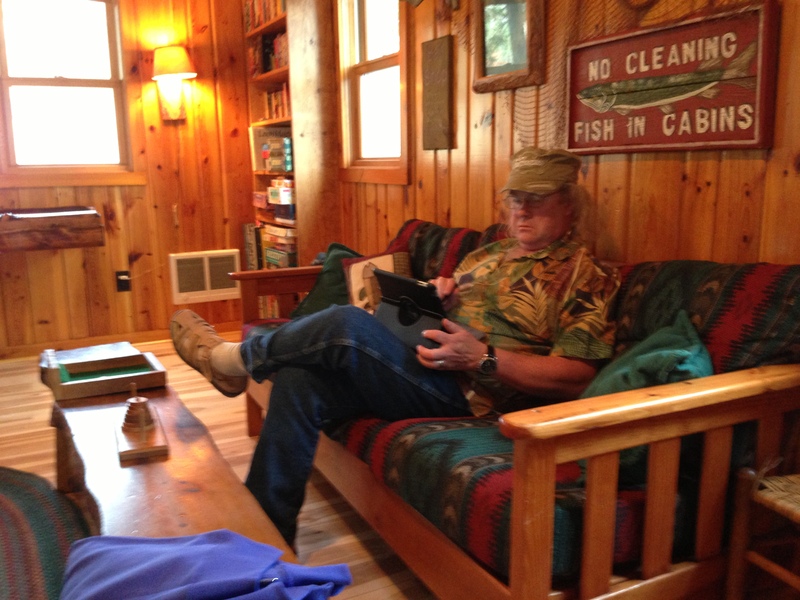 We’re sitting in the lodge where there is internet access. And that’s where I’m signing off. If I’m desperate for the internet at the cabin, I can use my phone as a mobile hotspot, although I’ve only about 2 bars, so, it’d be pretty slow. If I’ve nothing to report tomorrow, then I won’t post. 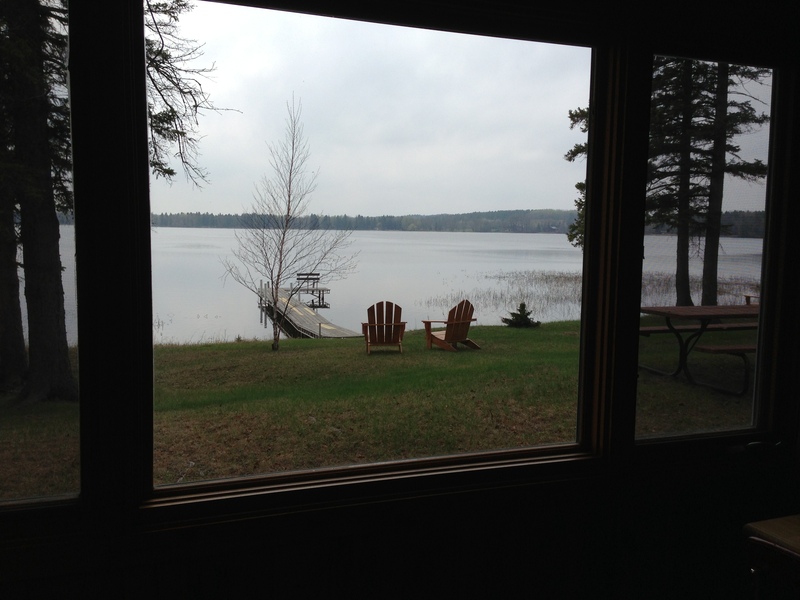 The game plan is to stay here for 4 days, head up to Ely to meet with the Outfitters (remember Plan A and our 10-day canoe camping in the wilderness? ), then drive down to visit family. Heading home around month-end. Later, peeps!! These are supposed to be just verbal pictures, right? Sounds perfectly lovely!